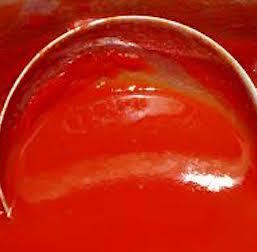 This roasted red pepper sauce recipe is absolutely delicious as a dipping sauce or dressing for a lot of fish dishes. I find it particularly good with crab cakes, but it's also great with a plainly cooked fillet of fish. If you don't want to switch the oven on, then place the cut peppers skin side up under a grill and cook until the skin has blistered. Alternatively, you can hold them over a flame from the gas hob and they will blacken. Then just follow the instructions as below. It is best to roast the peppers as this will produce a sweeter taste - the baking softens them uniformly unlike grilling or burning. 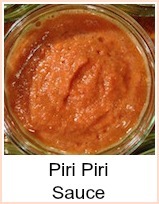 You could put them on the barbecue - this sauce goes very well with barbecued food. Heat the oven to Gas Mk 7, 425F or 220C. Put the peppers into a roasting tin, sprinkle with oil and bake for about 25 minutes, until the skins are black and the pepper is beginning to soften. Put the peppers into a polythene bag and leave a few minutes - the skins will then 'sweat' off. Rinse under a tap and scrape away any remaining skin. Put the peppers, wine vinegar and garlic into a processor and blend until smooth. 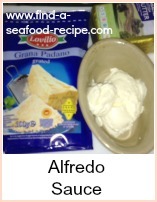 Put the puree into a bowl and stir in the yoghurt or soured cream - taste and adjust the seasoning. 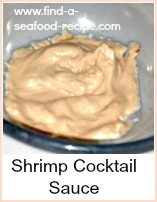 You could easily make up a large batch of this 'base' and freeze it in handy sized portions. Just defrost it thoroughly and beat it well. Stir in your yoghurt or sour cream before serving. So the next time you see a big bag of red peppers on sale at the market, grab them, roast them and prepare them up to processing. Perfect for spicing up any plain cooked fish.